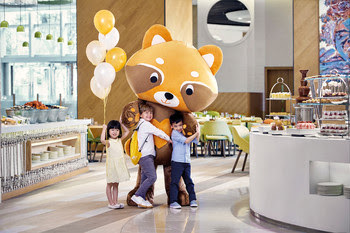 Cordis, Hong Kong is now promoting the Family Stay package, guests will save 15% off our Best Available Rate when booking a family connecting room. Reservations may be made at cdhkg.resv@cordishotels.com or on (852) 3552 3552 . More information about the hotel is available at cordishotels.com/hongkong . Reservations may be made at cdhkg.resv@cordishotels.com or on (852) 3552 3552 . Editor’s Note: Red panda (Ailurus fulgens) is a mammal native to the bamboo forests throughout the Himalayas including China, Nepal and India. The International Union for Conservation of Nature estimates that there are less than 10,000 red pandas in the world and has classified them as endangered species. 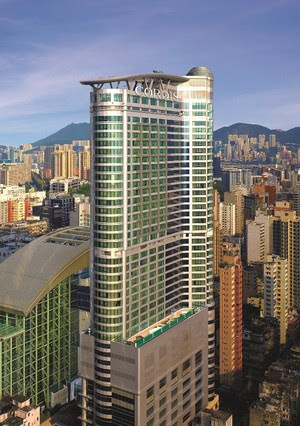 Cordis, Hong Kong is an upscale hotel situated in the vibrant heart of Kowloon. Rising above 42 storeys above Mongkok, the hotel offers 660 rooms and suites, excellent workout facilities, state-of-art meeting spaces and a collection of vibrant restaurants and bars including a Two Michelin starred Cantonese restaurant Ming Court, a modern European restaurant and bar Alibi — Wine Dine Be Social, an all day dining restaurant The Place and a new outdoor food truck destination The Garage Bar. Cordis Hotels & Resorts is the new upscale global hotel brand of the Langham Hospitality Group. A new generation of curated hotels devoted to the guests’ needs and well-being, Cordis focuses on the core pillars of intuitive service, connectivity, sophistication and a sense of community. Cordis derives its name from the Latin term meaning “heart”. Each Cordis hotel or resort will be individual in style, architecture and design, all of which will be reflective of its location and culture. The Cordis portfolio will include a combination of conversion and new built projects, resorts and contemporary residences. Apart from the Cordis flagship hotel in Hong Kong, the portfolio will include hotels in China, and Bali, Indonesia. Other cities targeted for future Cordis hotels include London, New York, Miami, Los Angeles, San Francisco, Dubai, Singapore, and Bangkok.